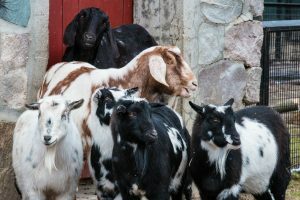 Potter Park Zoo is your ticket to get closer than you’ve ever been to more than 160 species of animals. Below is just a sampling. Check out the map to see everything we have to offer! *Some exhibit availability is weather dependent and will close when temperatures are extreme or during storms. Open Monday – Friday 10 a.m. to 3 p.m.
Saturday & Sunday 10 a.m. to 5 p.m.
*May close early in inclement weather. Please note that the grill closes 30 minutes before the restaurant. Certain freshly grilled items may not be available at this time. As you make your way through the zoo plan a stop on the grill patio to enjoy your meal or a snack. The shaded seating area looks out over the zoo where a number of our animals can be seen while you enjoy a meal. You can find your choice of cheeseburgers, fresh salads, chicken tenders, ice cream, popcorn, refreshing beverages, and more. All your favorites from soft-serve ice cream to hotdogs, souvenir cup drinks & refills, as well as caramel corn and other seasonal treats. Located near the entrance/exit to the zoo so you can easily get your treats upon arrival or just before heading home. Open Daily 9 a.m. to 5 p.m.! 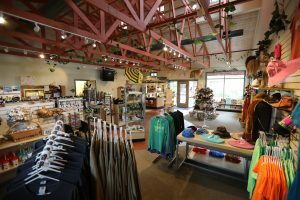 Located near the entrance of the zoo the AniMall gift shop offers something for everyone. Full of favorites like plush animals, toys, apparel, jewelry, gifts, home accents, and featuring eco-friendly items from a variety of vendors that provide conservation education and create jobs to local artisans from all over Africa. 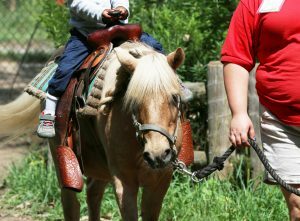 The pony rides are an opportunity for enjoyment for all children! Rides are $3 per child (cash only). Don’t forget your camera! 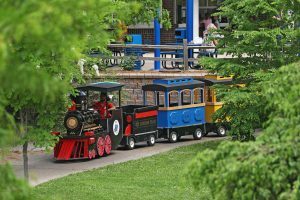 Zoo guests can take a ride around the green space near the Black Rhinos, Meerkats, and Bat-Eared Fox, while others in their party enjoy a break in the green space and capture the smiles as the riders go by on the train. *Contact Yard Closed for the Season, Farmyard open! 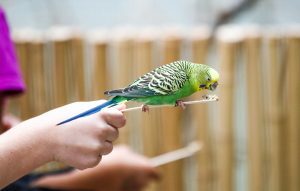 The Bird & Reptile House includes dozens of animals. 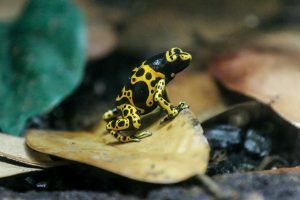 Rare and endangered animals such as the Guam rail, the Guam kingfisher and Puerto Rican crested toad can also be seen up close. 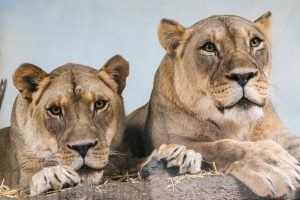 The Big Cat & Primate House features an incredible up close viewing area for our African lion, Amur tiger, snow leopard, lemur, mandrill and spider monkey. Check the “plan your day” board at the entrance of the zoo for today’s keeper talks! 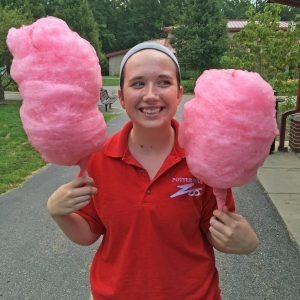 Potter Park Zoo is open every day of the year except for December 25th. Are you part of a school or group? Click here for more information. 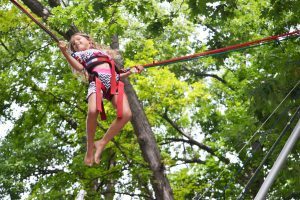 Visiting Wolf Woods is like taking an adventure to the wild northern woods of the Upper Peninsula or Canada. You’ll enter a log cabin with a huge picture window looking out onto the gray wolves. Also included in this exhibit are a variety of wildlife artifacts and information about current conservation efforts underway to help protect wolf populations. Strolling through the beautiful gardens near the duck pond is both relaxing and educational. Sign posts along the way tell you how you can make your yard just as lovely and beneficial to wildlife in your neighborhood by attracting birds, butterflies, and other animals.